I have no intention of trying to explain Christmas tonight. I don’t know how. I can’t explain it. It just doesn’t make sense. 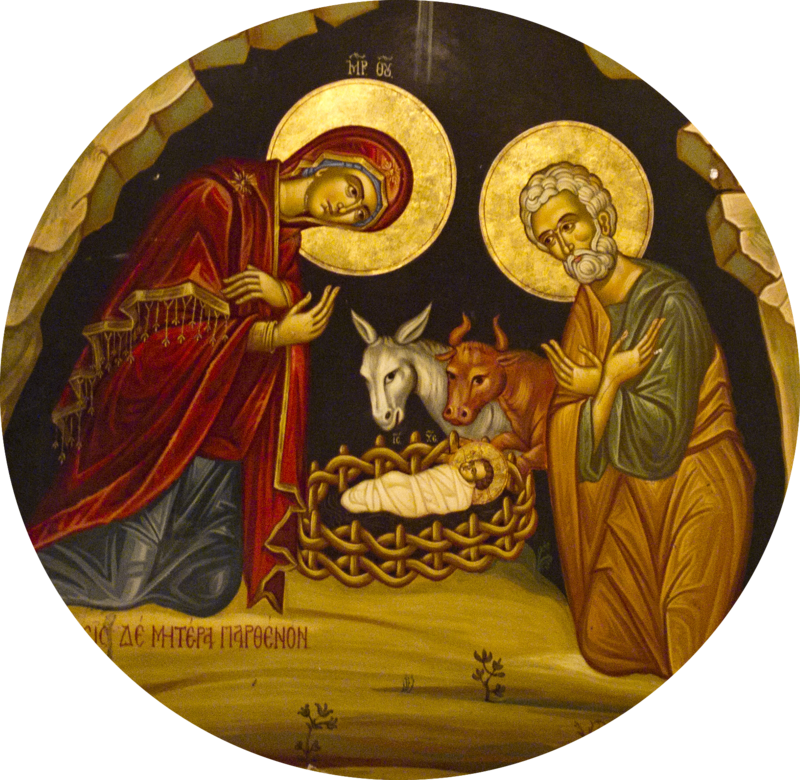 The gift of Christmas cannot be explained or understood by logic, the rational mind, or our various theologies and doctrines. It can only be experienced, and that’s what I want us to do tonight. I want us to experience Christmas. So we’re going to do this a little differently tonight. I am going to ask you to do something. I will do it first and then I want you to do it. It may sound a little strange or unusual but I hope you will indulge me. I think it will make sense. You ready? Did you see what I did? I touched someone and said, “Yes.” That’s all I want you to do. Turn to someone near you, touch them, and simply say, “Yes.” Pass it down the pew. Don’t let there be anyone here who is not given a yes. Make sure everyone gets a yes. It doesn’t matter who you are, why you are here, or what you believe or do not believe, you get a yes. Do you know what just happened? You received what the shepherds received that night. You received and passed on the good news that the angel spoke. You just experienced the Christmas story. Admittedly, it’s not the usual story we tell or have been told. Yes is the story behind the story. This child we receive and celebrate tonight is the sign of God’s yes to you and me. This child is the embodiment of God’s yes to all people. This child will spend the rest of his life saying, “Yes:” yes to the poor, yes to the hungry, yes to the weeping, yes to the sinner, yes to the pure in heart, yes to those who hunger and thirst for righteousness, yes to the peacemakers, yes to the outsiders, yes to the wedding couple who ran out of wine, yes to the lepers, yes to the prostitutes and tax collectors, yes to the 5000, yes to the demon possessed, yes to the woman caught in adultery, yes to Lazarus, yes to the woman at the well, yes to blind Bartimaeus, yes to the hemorrhaging woman, yes to the centurion’s servant, yes to the widows, yes to the paralyzed man, yes to the sick and suffering, yes to Nicodemus, yes to Mary and Martha, yes to Peter, James, and John, yes to Thomas, yes to Judas, and yes to you and me. Jesus is God’s yes to us and the world. Regardless of who you are, where you are from, what you have done or left undone, or what is happening in your life today, you get a yes. There is no one who does not get a yes. That yes is the gift of Christmas and it is unconditional. It is pure gift. That yes comes to us as love, acceptance, forgiveness, presence. And God’s yes to you and me always comes without an if, a when, or a why. God’s yes, the Christmas gift, never comes wrapped in an economy of transaction. Let me explain what I mean by that. We live in a world in which you pay for what you want. We’re expected to return the favor, pay off the debt, or reciprocate in some way. We write contracts to insure that the books will remain balanced. In short, you get what you pay for. That is not God’s world or God’s way. God does not love if you are worthy of being loved. God loves unconditionally. God does not accept when you have proven yourself acceptable. God’s acceptance is unconditional. God does not forgive after you have changed your ways. God just forgives. God does not show up because you said your prayers or had enough faith. God’s presence is without conditions. There are no prerequisites to God’s yes. That’s the gift of this night; God’s unconditional yes. It’s sort of like the story a friend of mine told me about his four year old granddaughter. He said he recently went to see her and she asked, “Pops, why are you here?” “Because I love you,” he said. “But why?” she asked. “Because I just do,” he said. “But why?” she asked again. “It’s just what I do,” he said. “I cannot not love you.” He said her face lit up and she just smiled. She had heard his yes, his unconditioned yes. She understood that there is no why to her granddad’s love. It just is. That’s Christmas. That’s what the child lying in the manger brings us. That’s why we come here this night every year. We come to remember, to be reminded of, and to hear once again God’s never ending yes to us. That’s the song of Christmas. And it’s playing for every one of you. Lawrence, thank you for sharing this story. A perfect example of the yes that is always there but often unheard.